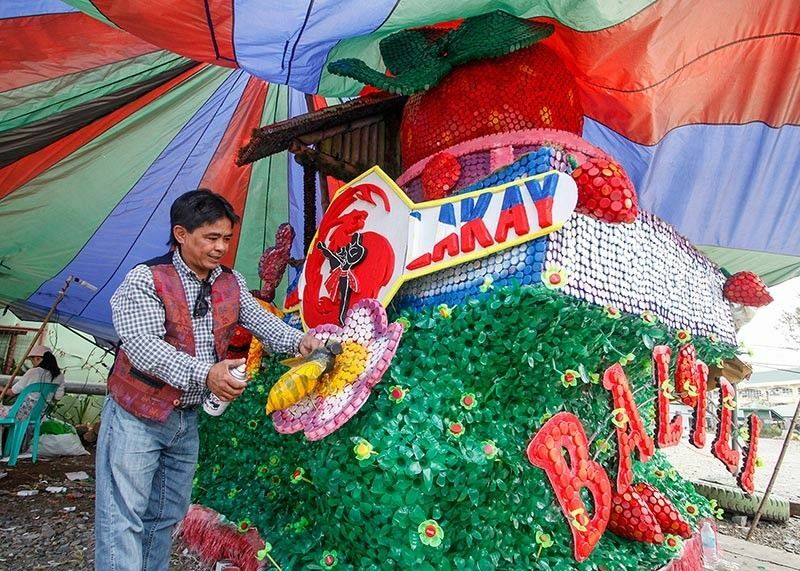 FLOATS bedecked with flowers and vegetables with sashaying groups are set to wow the crowd in celebration of La Trinidad’s 38th Strawberry Festival. Fifteen non-motorized floats and nine street dancing contingents will parade from Kilometer 6 to the municipal building today to the theme "La Trinidad: My Home, My Pride” before the unveiling of a giant 1.6 ton strawberry shortcake. 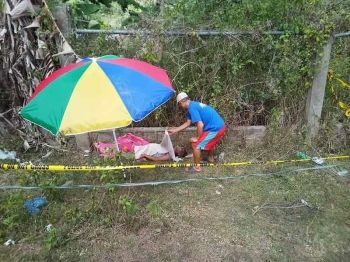 Municipal Tourism Officer Valred Olsim said the town prides itself for the manually maneuvered floats now showcased on its third year which highlights the environmental advocacy of the town. Leading the floats are Bbarangays Alapang, Alno, Ambiong, Bahong, Balili, Beckel, Bineng, Betag, Cruz, Lubas, Pico, Poblacion, Puguis, Shilan, Tawang and Wangal with a pro-environment guideline to use recyclable materials, organic materials, strawberries, vegetables and flowers. There will be a winner for each of two categories; The Pro-Environment and The Valley Of Colors winners are set to receive P50,000 for the top plum followed by P30,000 for the second prize and P20,000 for third prize judged by symbolism, design and craftsmanship. Street dancers garbed in the colors of the Cordillera promise to highlight local culture and heritage in their performances led by the Ayoweng de Gangsa, Barangay Pico, Shilan, La Trinidad Central School-Highland Cultural Dance Troupe, barangay Puguis, Benguet National High School Annex- Puguis, Buyagan Elementary School, Betag Tallibeng Cultural Ensemble, and barangay Tawang. The contingents have taken the theme of this year’s festival in depicting the Valley’s Agri-Eco Tourism boom, the beauty of feasts, planting of highland veggies and strawberries, elders celebration of bountiful harvest, chants, dances, rituals, environment preservation. For the street dancing competition, all qualified groups will be awarded a P15,000 cash prize with the sole winner to receive another P15,000. Valley Bread, a proud local company, said the giant cake is projected to yield 12,000 slices. It took 27 bakers, 12.5 hours of baking time and 500 (12 x 16) pans to finish the cake. Sharon Lorenzo, public relations officer of Valley Bread, said the first 50 slices of the cake will be distributed for free and the rest will be sold at P20 a piece. Valley Bread is the biggest supplier of loaf bread in Baguio and Benguet and has been tapped by the local government to bake this year’s cake using local produce to make a strawberry puree. Lorenzo said bakers started preparations on March 21. They used 3,000 pieces of large eggs, 300 kilos of sugar, 345 kilos of cream milk, 162 kilos of vegetable oil, 15 kilos of vanilla extract, 375 kilos of all-purpose flour, 10 kilos of baking powder and four kilos of salt with 365 grams of fresh strawberry fruit and 40 grams of sugar used for the strawberry puree. "There was no hesitation. 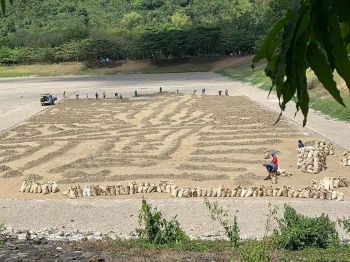 It started 2004, when we started baking of Guinness Book of Record and this year we will provide bigger slices, this is a way of giving back to the people of La Trinidad,” Lorenzo said. La Trinidad in 2004 broke the Guinness World record for baking the Biggest Strawberry Short Cake 15 weighing 9,622.23 kilograms and made 42,083 slices. The town celebration grew from being a religious event in honor of St. Joseph, its patron saint to a festival showcasing the town as the strawberry capital of the country.